BRIGHTON, Mich. - Thanksgiving is rapidly approaching which means tables and bellies alike will be full of food. If you want to ensure that you and your family are eating only the best on this American holiday, take a look at our 3 fresh Thanksgiving side dish recipes. These dishes are delicious and easy - something you and your family will be thankful for! 1. Stovetop Green Bean Casserole - this is a Thanksgiving meal classic that everyone loves! 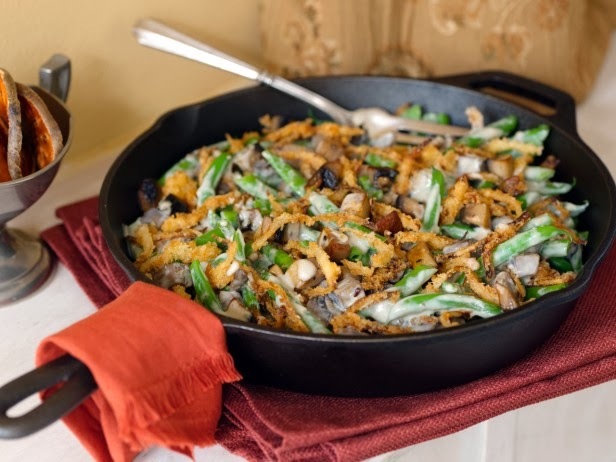 However, many will throw the casserole together using green beans out of a can and fried onions out of a box. Our recipe is still just as easy and delicious, but a little more fresh. Preheat the oven to 475 degrees. Combine the onions, flour, panko and salt in a large bowl where you'll toss and combine them. Coat a sheet pan with cooking spray and spread the onions on the pan. Place the pan in the oven and bake for about 30 minutes. Toss the onions 2-3 times while cooking. After they are done, set them aside to cool and turn your oven down to 400 degrees. During the 30 minutes they are cooking, bring a gallon of water and 2 tbsp. of salt to a boil. Add the beans and cook for 5 minutes. Drain the beans and plunge them into a large bowl of ice water to stop the cooking. For the sauce, melt the butter in an iron skillet. Add mushrooms, 1 tsp. salt and pepper for about 4-5 minutes. Add the garlic and nutmeg and continue to cook for another 1-2 minutes. Sprinkle the flour over the mixture and stir to combine. Add the broth and simmer for 1 minute. Decrease the heat and add the half-and-half. Cook for another 6-8 minutes until the mixture thickens. Stir in the green beans, top with onions and place inside the oven until the mixture is bubbly, then remove and serve! Cover the potatoes with 1 in. cold water in a large saucepan. Bring to a boil then reduce to a simmer and cook until the potatoes are tender (probably about 20 minutes). In a small pot over low heat combine half-and-half and butter. Heat until hot, but not simmering. Drain the potatoes and wipe the saucepan dry. Add the potatoes back into the saucepan and mash. Give it a quick mix with a hand mixer to make the potatoes thick and smooth. Using a spatula, fold in the melted butter and half-and-half mixture, then fold in the sour cream and 1/4 cup chives. For the yams, you'll want to preheat your oven to 400 degrees. Toss the yams with oil in a bowl and sprinkle with salt and pepper. Melt 2 tbsp. of butter in a small saucepan and add the brown sugar, honey, cinnamon, vanilla and nutmeg and mix until the mixture comes to a simmer and the sugar dissolves. Add this mixture to the yams and toss to coat. Spread the yams and all the sauce evenly into a 9x13 inch baking dish. Cover tightly with foil and bake until beginning to become tender (probably 30 minutes). For the crunch, pulse the gingersnaps in a food processor and then transfer to a medium bowl where you'll stir in the sugar, butter and flour to combine. Form the mixture into crumbles with your hands and then chill in the refrigerator. Remove the foil from the yams and stir to coat with the sauce. Continue baking uncovered until the potatoes are tender and the sauce has thickened (another 20-25 minutes). 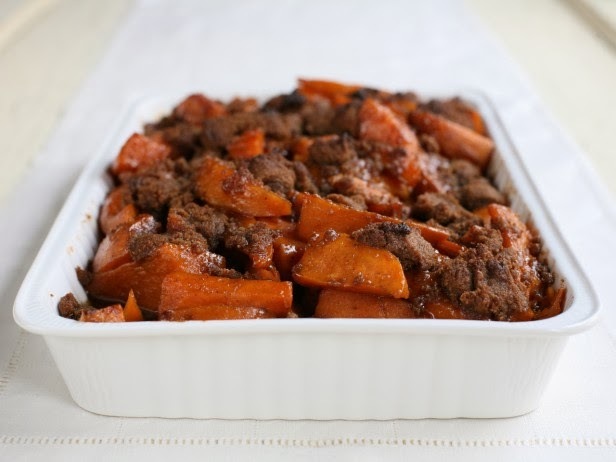 Top with gingersnap crumbles until the yams are very tender (another 10 minutes). After they are tender and nicely browned, remove from the oven, cool and enjoy! We hope these 3 fresh Thanksgiving side dish recipes have you excited and inspired for your upcoming Thanksgiving feast. If you have your own recipes that you'd like to share, or you want to find out more of our personal favorites, head on over to our Facebook page and leave us a not on our wall! We are also available to answer any automotive questions or concerns you may have - everything from Car Loans to Used Car Value to buying a Certified Pre-Owned Car, we're here to help! Brighton Ford is located at 8240 Grand River Ave. just north of I-96 in Brighton. We are a family owned and operated business that strives for customer satisfaction. For more information on Brighton Ford visit BrightonFord.com or give us a call at (800) 836-8206.